The compliance mechanism used for scrubbing began November 16, 2005. A fee is charged per contact point checked to cover the cost of maintaining the registry and enforcing the law. The fee is currently set at seven tenths of a cent ($0.007). The Michigan Children's Protection Registry was created with the enactment of 2004 PA 241 (html | pdf), 2004 PA 242 (html | pdf), 2005 PA 206 (html | pdf), and 2005 PA 298 (html | pdf). The administration and enforcement of the law is also informed by the associated Administrative Rules. Under the law, "a person shall not send, cause to be sent, or conspire with a third party to send a message to a contact point that has been registered for more than 30 calendar days with the department if the primary purpose of the message is to, directly or indirectly, advertise or otherwise link to a message that advertises a product or service that a minor is prohibited by law from purchasing, viewing, possessing, participating in, or otherwise receiving." Marketers who fail to comply with the law face criminal penalties of up to three years in jail, and criminal fines of up to $30,000. In addition, marketers may face civil penalties of up to $5,000 per message sent in violation of the law, to a maximum of $250,000 per day. Civil suits may be filed by the Michigan attorney general, Internet service providers, and parents on behalf of their children. 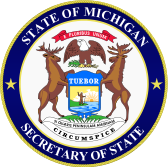 Marketers should apply for access to the Michigan Children's Protection Registry scrubbing mechanism beginning August 1, 2005 through the Protect MI Child Registry compliance site. Tools available through the Protect MI Child site will allow marketers to scrub their mailing lists in compliance with the law. Moreover, several email service providers (ESPs) can provide automatic compliance help directly through their list management processes. For more information on how to ensure your compliance, please contact us. For more information on the technical process of complying with the law, please click here.